Sean Brosnan (money advisor, Money Advice and Budgeting Service) : Insolvency, and the repossession of homes by banks, etc. in the private housing sector. Other potential participants were discussed, including our long-term friend Eamonn O'Boyle who will be asked to attempt a summary at the end. Other staunch supporters who have given generously of their time over the years will be sent courtesy invitations before the event. It was agreed that after the keynote speakers had presented the meeting would be split into three sub-groups to discuss each of the three themes. Each group will be assigned a rapporteur, who will be asked to keep notes which can be brought together for a final report to be published on this site after the event. Dennis Pringle agreed to create an A4 leaflet / poster which might be used to advertise the Workshop. Sean Crudden will run off copies to be distributed at suitable locations where they might be picked up by interested parties. The web-site manager reported that new email accounts had been set up for each committee member. Details regarding passwords etc. will be circulated using existing email addresses. We were pleased to welcome two guests to our November meeting, namely Mary Corrigan and Michael Challoner. The meeting was dominated by a single issue: namely the 2017 Winter Workshop to be held on Saturday 28th January. The title is Housing and Homelessness: Falling Through The Cracks, focussing on three sub-themes: the capacity of the various agencies attempting to provide support for the homeless; the adequacy of supply of social housing; and problems of mortgage defaulting and negative equity in the private housing sector. It was reported that a number of speakers identified at the last meeting have indicated a willingness to present at the Workshop, but it was felt that we needed a few more experts on some topics. Additional potential speakers to cover these topics were discussed in some depth before committee members were delegated to approach those deemed the most suitable. It was agreed to have an additional meeting on Sunday December 11th to review progress. The main item on the agenda was the Annual Workshop scheduled for Saturday, 28th January, 2017 on Housing and Homelessness. Although housing and homelessness are major issues at the national level it was decided that the focus in the workshop should be on the local level (i.e. Cooley and Dundalk). Sean Crudden reported that he had received a commitment from one speaker and suggested three other possible speakers to ensure coverage of the three themes identified in the previous meeting (i.e. support services, the adequacy of social housing, and mortgage and negative equity issues). It was agreed that if available these would provide a very attractive programme. The Secretary reported on a very disappointing reply from a member of the County Council to a courtesy information update on our activities sent to him by the Secretary. Not only was the reply factually incorrect and personally vindictive towards our Secretary, but it displayed a contemptuous dismissal of the activities of our group. As this fell well below the standards expected of our public representatives, it was decided that our Secretary should copy the correspondence to the representative's party headquarters for comment. 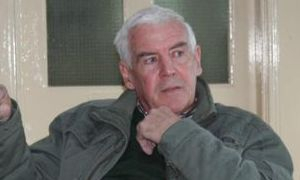 The meeting closed on a sombre note, noting the passing since our last meeting of Michael Corrigan. 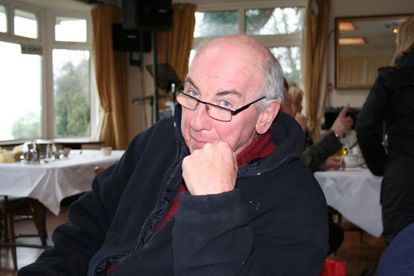 Michael was a long-time committed supporter of the Cooley Environmental and Health Group. His contributions at the Annual Workshops were always carefully prepared, erudite and informative. He will be sadly missed. The Cooley Environmental and Health Group would like to extend its sympathy to his wife and family. The main item for discussion was the topic for the next Winter seminar to be held on Saturday, 28th January, 2017. After considering maybe doing something on the United Nations sustainable development goals, discussion returned to the topic agreed at the last meeting: Falling Through The Cracks - i.e. the failure of the support services to cope with various types of problem. However, it was felt that this was too broad and that it might be better to focus on one particular problem. The Drugs issue was considered, but it was felt that Housing and Homelessness might be a more suitable topic, focussing on three sub-themes: the capacity of the various agencies attempting to provide support for the homeless; the adequacy of supply of social housing; and problems of mortgage defaulting and negative equity in the private housing sector. Potential speakers on each of the three themes are to be approached over the summer. It was also reported that the proposed on-line map project was on hold at present, but links to map sources elsewhere are to be added to the map project page on the website. A link has already been provided to maps by the National Cancer Registry showing 20 types of cancer in Ireland by county for a twenty year period. The April meeting was marked by a full attendance and a lively debate. After reading and accepting the minutes of the previous meeting, our Treasurer, Sean Crudden provided an update on the current status of the finances. This is the best time of year to get a snapshot of our financial situation as the various incomes and expenditures associated with sponsorship and the annual workshop have all been settled and we now head into a 'low expenditure' phase in the financial year. Sean reported that we were balancing the books quite nicely, but pointed out that 2016 could be a more expensive year than most for various reasons and that we therefore need to continue to tread cautiously. Some disquiet was expressed about recent dealings with the Louth PPN (Public Participation Network). At best it would appear to be an organisational shambles, while at worst there is a feeling that it may be being manipulated in an anti-democratic manner that actually blocks public participation. It is now over 2 years since the Council elections took place and no communication or reports have been issued since an interim group was put in place. No reports have come from SPC’s and other boards since the Louth Community and Voluntary Forum was disbanded, yet subsequent enquiries reveal the interim members have attended some meetings and have not reported to the registered 230 community and voluntary groups that are registered with Louth PPN Network. Discussion then turned to possible topics for next year's winter workshop. A number of ideas were discussed, but were dismissed because of uncertainty about what the future might hold regarding the formation of a new government and the British referendum on exiting the EU. It was also felt there were more immediate issues much closer to home. After some discussion, it was decided to provisionally run with the title 'Falling Through The Cracks: The Failure Of The Support Services'. In other words, what could be done to improve the support to people who, often through no fault of their own, are affected by homelessness, crime, drugs, mental health problems, etc. This is a broad canvas, so it may be decided at a future meeting to narrow the focus to smaller number of problems. The meeting was largely devoted to a review of the 2016 Workshop on the theme: Water - Guaranteeing A Safe Supply. The general feeling was that it had been a success. Attendance was up on previous years and the discussions proved very fruitful. It was agreed that Ollan Herr was an excellent keynote speaker, not only with regard to content but also his delivery which was pitched at a level everyone could related to. Sean Crudden was also congratulated for his role as stand-in facilitator due to Dermot Mooney being unexpectedly delayed. It was felt that the division of the participants into three discussion groups also worked very well, aided by the excellent chairing of these groups by various members of the Kieran family. Sean Crudden reported on the current financial status of the CEHG. This will not become completely clear until outstanding expenses have been paid for and subsidies promised by LEO have been received, but the situation does not currently appear to offer cause for concern. Three possible themes for next year's Workshop were tentatively discussed, but it was decided to defer making a decision until after the General Election to be held on February 24th. There will be a further meeting one week before the next Workshop to be held late January, 2017 (date to be decided). The first meeting in 2016 was also in a sense the last meeting in 2015 as the business focused on the final preparations for the 2016 Annual Workshop on the topic: Water: Guaranteeing A Safe Supply. The various committee members who had been actively contacting potential speakers reported on progress. There are still some speakers to be confirmed, but the programme appears to be shaping up very nicely. We are confident that Ollan Herr will be the keynote speaker, but this will be confirmed early this week. Discussion then switched to discussing potential themes for the workshop and the potential format. Three themes were identified as being of particular interest: water supply, both in terms of guaranteeing adequate supply but also water quality; waste water treatment and safeguards against pollution; and water storage and the need for a national policy. Sean and Dessie reported on the Dundalk FM radio programme they appeared on to promote the Workshop. It was felt that this went very well. Sean praised Dessie's contribution and both felt the presenter did and an excellent job and had prepared himself well. Some doubts were expressed about the continuation of funding for the workshop, but this will not become known until after the event. It was decided to stick with the same format regarding the post-workshop dinner. There was some discussion about the Facebook pages. It was decided that this should be reviewed by the incoming committee at the next meeting in February.